BOOK REVIEW | Sometimes the arrival of a book dovetails nicely with an issue that’s sparking in the public arena. 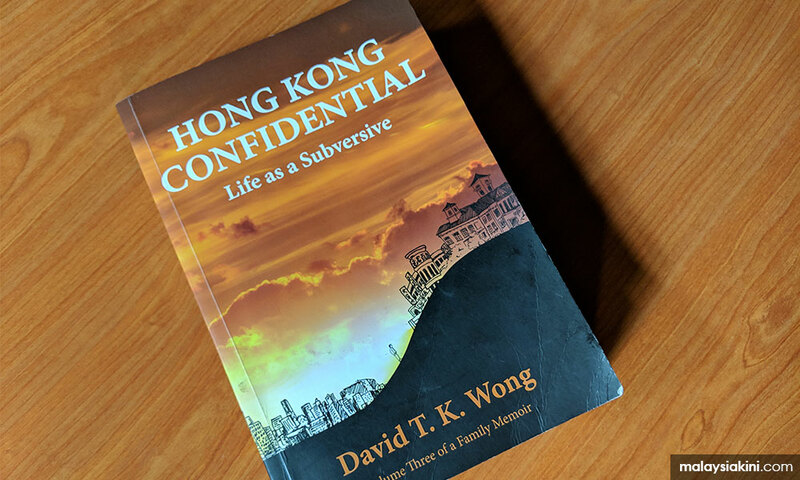 Such is Hong Kong Confidential: Life as a Subversive by David TK Wong, a Hong Kong-born author living out his sunset years in Kuala Lumpur. Since the 14th general election in May this year, when Malaysian voters ejected the long-ruling BN government and replaced it with the new broomism of Pakatan Harapan, the public has been inundated with what seems like a Pandora’s box of financial horrors left behind by the previous regime. The steady drip of disclosure of the extent of the financial turpitude left top civil servants exposed as having been supinely complicit in their political masters’ plunder of the public till. 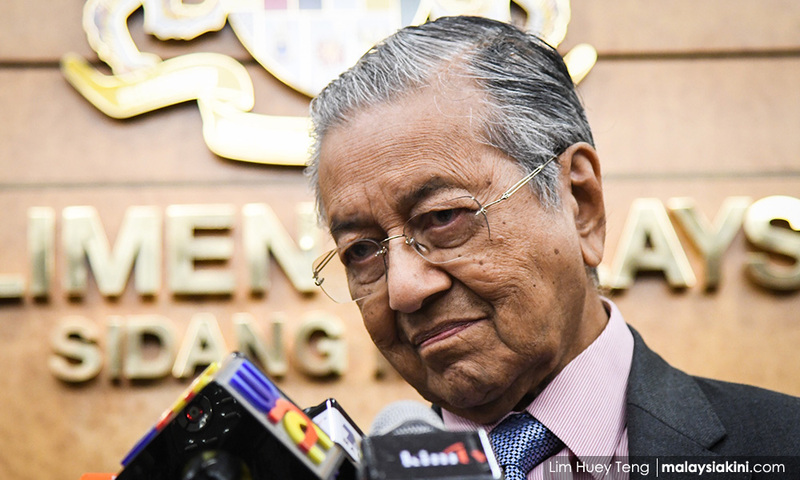 This tale of woe has turned Harapan’s nonagenarian head honcho, Dr Mahathir Mohamad, into a Malaysian version of Hercules before the Augean stables. Staggered by the extent of the moral failings of civil servants, Mahathir has kept an eye out for civil service reform. 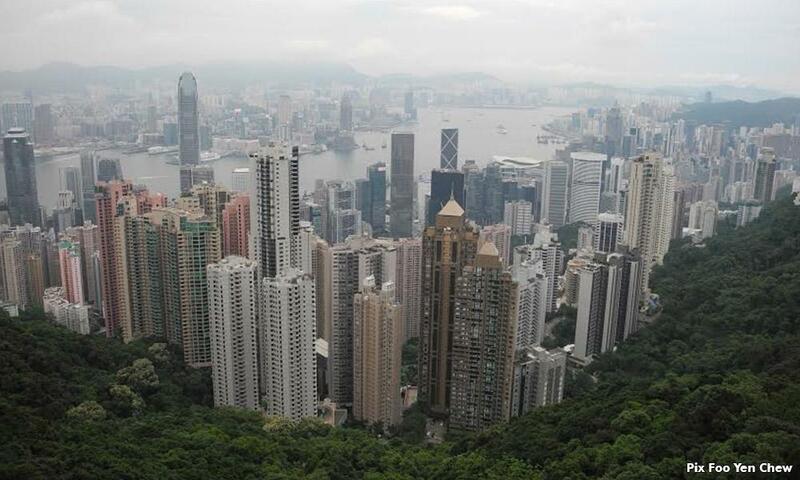 A dip into Hong Kong Confidential might usefully aid the process. Before dwelling on the book’s relevance to the issue of how a civil servant ought to comport himself or herself when tugged by the imperatives of duty to the state and service to the government of the day, some details on the author ought to provide perspective. Wong has been living in Kuala Lumpur since 2009. After two failed marriages and raising three children, he lives the solitary life of a writer in an eyrie in the plusher precincts of the Malaysian capital. Presently, he is at work on the fourth volume of memoirs. Wong is fairly sure the fourth instalment would not wrap up all he has to tell about his life which is a composite of experience as a journalist, civil servant, corporate manager and author, spent in such places as Hong Kong, Singapore, Australia, California (where at Stanford University he gained a BA with distinction and an MA to boot), Holland (where he did his postgraduate study) and England (where corporate and authorial affairs took him). The problem with completing an editorial inventory of a multifarious life is that illness-free time may not be sufficient for the author to finish the compilation. Wong suffers from macular degeneration, a condition that makes it difficult for him to read over long stretches. He husbands his vision by writing in brief bursts – and reading in still shorter spells. However, a supple prose style and a prodigious ability to recollect the past is reason for optimism that Wong will complete the chronicle before his lease is up. Clearly, staying in touch with the muse does redound to a prolonged stay against mortality. Wong had already written two novels and five volumes of internationally acclaimed short stories before starting on his multi-volume memoirs. Having read his short stories, one could surmise the writer in him has emerged from an oyster-bed of a beset early life as a journalist and, before that, an angst-ridden boyhood in which the divorce of his parents left him lonely in the claustrophobic confines of his grandfather’s extended family in Singapore. Suitably, he has kept memoir-writing for the sunset of his life, the better to sum things up with the sapience of age. Hong Kong Confidential is the third volume of his memoirs, the earlier two being Adrift: My Childhood in Singapore and Hong Kong Fiascos: A Struggle for Survival. Adrift, as the title indicates, is an account of his boyhood and teenage years in Canton, Singapore and Perth, the last-named place was where he lived out the years of World War II as a penniless refugee. Hong Kong Fiascos is a chronicle of the early part of his years as a civil servant, while Hong Kong Confidential is a narrative of the later period when he occupied posts in the upper echelons, roles that not infrequently placed him on the horns of daunting dilemmas. The fact that Wong came from a politically conscious family accentuated the pain of those quandaries. It was a family that felt keenly the humiliations inflicted on China by imperial powers in the 19th century and first half of the 20th, when a bedraggled people and its fractious leaders were forced to acquiesce to unequal treaties and extortionate concessions. Not infrequently, in Hong Kong Confidential and Hong Kong Fiascos, Wong alludes to one or the other of the humiliations, as if the act of peeling back the scab and exposing the psychic wound below heightened his determination to avoid doing anything that would let down the hoi polloi in Hong Kong. Certifiably a scion of the Chinese intelligentsia, Wong’s paternal grandfather went to medical school in Hong Kong, worked under the British there before being transferred for work in Singapore in 1900. His maternal grandfather was the first Anglican Bishop of Canton. The elder medic was a strong supporter of Chinese revolutionary leader, Dr Sun Yat Sen, in the latter’s struggle to overthrow a tottering Ching dynasty. Wong’s pedigree accounted for his sensitivity to the impact on the man-in-the-street of measures proposed for the alleviation of problems in the city-state. These problems arose in fields ranging from aviation to power generation, housing to hawking, and in public transport. On occasion, Wong had to grapple with organising relief when natural disasters struck. Not the least of the skills he acquired were the delicacy and diplomacy necessary to assuage the irredentist impulses of Hong Kong youth brought up in a Eurocentric education system that could not smother their feelings for the motherland, especially when these were stirred by territorial disputes between China and one or the other of former imperial powers. Wong brought to his role deep knowledge of Chinese history, particularly of civil servants famed for the way they steered a course between imperial behest and societal good, between a weak emperor and his venal court on the one hand and a populace in need of protection from peremptory edicts and punitive taxes. Wong reminds readers that China’s meritocratic 2,500-year old system of selecting public servants on the basis of grades obtained in the periodic Imperial Examination was adopted by Europeans in the 19th century. While Hong Kong Confidential is clearly part of the genre of postcolonial writing where the standpoint is that of the subject talking about experiences under the heel of empire, it does not exclude or scant perspectives from the British standpoint, which Wong’s elevated position in the service afforded him the opportunity to evaluate. 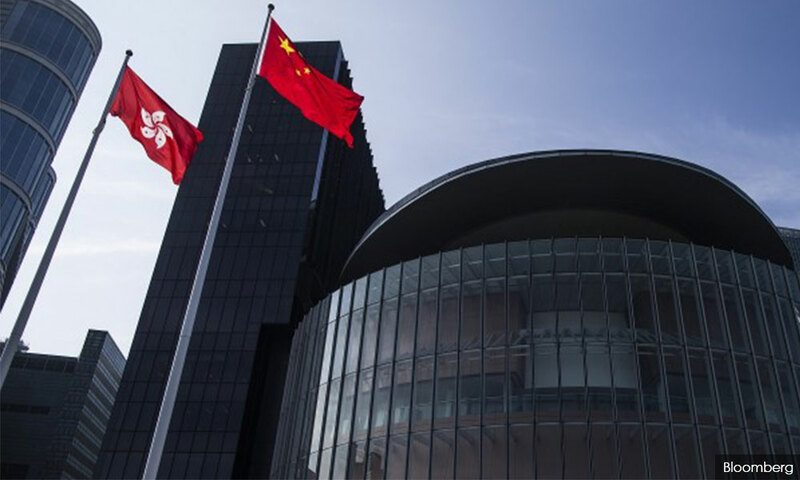 He gained much from observing the attitude of John Cowperthwaite, Hong Kong’s financial secretary from 1961 to 1971, who was sedulous in looking out for the interests of the people of Hong Kong. Cowperthwaite’s pragmatic bent imbued him with a suspicion of the foggier aspects of economic nostrums espoused by experts from the grooves of academy. 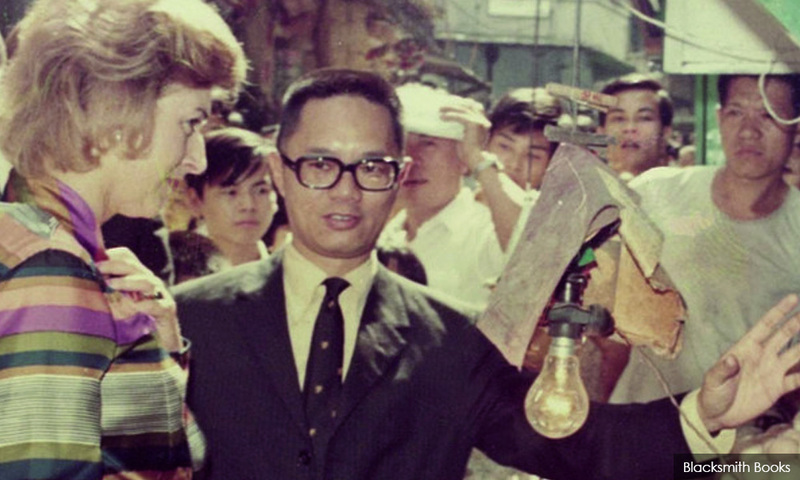 For Wong, this heterodoxy was reinforced by an encounter with Alec Douglas-Home, the former British prime minister and later foreign secretary whom he had to accompany on the dignitary’s visit to Hong Kong in 1973. Douglas-Home’s candour and honesty had a bracing effect on Wong. He had volunteered the opinion that as prime minister, he had to face two sets of problems. One set was political which, he observed, were insoluble and the other was economic which he held to be incomprehensible. As a civil servant, Wong’s grasp of the multiple facets to an issue or situation steered him towards navigating the shoals in ways that sought the most sensible and practical resolution. Service as a civil servant, in Wong’s telling, is a public trust. Clearly, from his performance in the Hong Kong colonial civil service, his deportment placed him in a direct line of descent from the Imperial Examination mandarinate. Hong Kong Confidential makes the case for comparable rigour in the testing and admission of candidates to a country’s civil service, and for the inculcation of an ethical code that the sage Confucius made famous and de rigueur for the corps that stand between the executive political class and ordinary citizens. His book is a compelling text for a Malaysian civil service whose derelictions have brought a once competent service to rack and ruin. 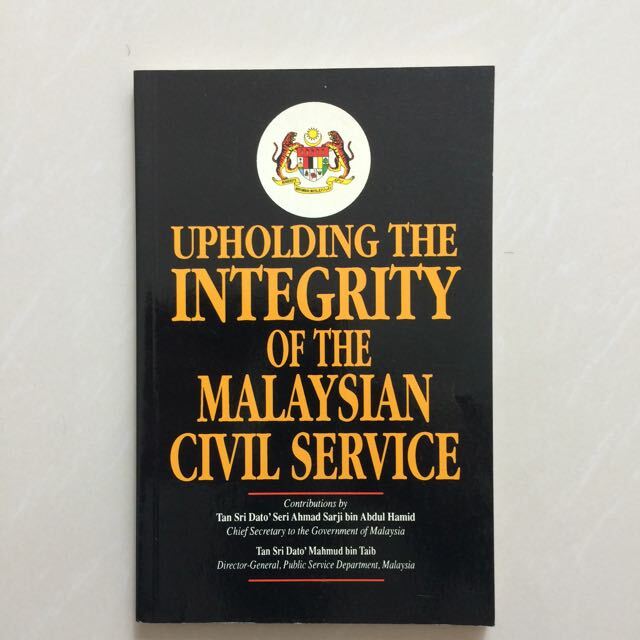 Posted in Book Review, Governance, Malaysiakini, Malaysian Civil Service, Malaysian Civil Service/Foreign Service, Uncategorized. Former senior civil servant, Abdul Halim Shah Abdul Murad, who retired from the Public Services Commission in 2005 and sat on the disciplinary board of the Public Services Department, said that politicians and politicking by previous administrations have contributed to the drastic fall in the civil service’s reputation and efficiency. “When politics became more institutionalised, that spelt the doom for the civil service, because civil servants served not in the public interest but were forced to be the errand boys of politicians,” said Halim, who has served in various capacities within the civil service in 37 years, including as director-general of the Legal Affairs Division in the Prime Minister’s Department. According to the 73-year-old, part of the problem the current administration is facing is the continuous election of the same political parties over the last half-century. Halim said it was “inevitable” that the civil service would “descend to its lowest ebb…when politicians more or less remained permanent and the civil servants became more dispensable in all the ministries and departments”. “The fault does not lie with the civil service, but more with the so-called democratic system, whereby we allowed the same coalition to rule the country for more than half a century,” he added. Halim said that the “duress” experienced under previous administrations had contributed to the civil service’s rapid decline, with employees becoming “yes men” rather than able technocrats who could read the needs of a developing nation. Politics aside, Halim also lamented that the quality of recruits to the civil service has deteriorated to such an extent that there was a gradual dilution of the body’s services and efficiency, which has now come to be known as the PTD or Perkhidmatan Tadbir dan Diplomatik. “At the very outset, we must select the right people to do the right job right. In the early years of Merdeka, the intake of people into the PTD was very much dependent on the output only from Universiti Malaya in Singapore which then moved to Kuala Lumpur. Halim added that the key was quality. He said that the colonial service under the British had already laid the foundation of a sound administration with its established rules and regulations. He added that there were “just a handful” of early civil recruits, otherwise known as cadets, with training being done on the job. “They learned the ropes of government service from their mentors whose reputation was second to none in this part of the world. “When I first set upon a compendium of colonial MCS (Malayan Civil Service) officers, which contained information about their educational backgrounds, most were educated in public schools in England and then graduated from Cambridge University and Oxford University,” he said. Halim noted that another determinant, which cannot be overemphasised, is the ethos of the civil service prevalent today. “By this, I mean the values espoused by the civil servants must be in consonance with noble virtues such as being God-fearing, morally upright, honest and of integrity. Halim feels that current methods of recruitment are already outmoded. “Technically, many things have changed, such as computerisation in short-listing of candidates, conducting evaluation and assessments in written form and through group activities, but they still fall short, because we have not done an evaluation on how valid and effective these techniques are. Our interviews are also not standardised and unprofessional. I propose a thorough re-examination into the present methods be made and changes for the better be instituted,” he said. Halim added that the suitability of candidates for recruitment must not only be based on paper qualifications, but other measurements that determine their aptitude or attitude, including their problem-solving abilities. “I am a firm believer that discipline must be imbibed by every fresh recruit into the civil service, because it is the cornerstone of character development of the individual,” he said. As an example, Halim said that the Federation Military College (now Royal Military College) had instilled in him “the habits of punctuality and good grooming”. He said that apart from developing competencies such as problem-solving, communication and tech-savviness, he proposes that civil servants must be a reservist throughout their first three years upon being recruited. This means compulsory military training while still in service, where they have to undergo drills and annual camps as part of a comprehensive package in their appointment offer. Halim also said he noticed that the civil service seems to have deteriorated in terms of promoting deserving officers for promotions. Posted in Character and Integrity, Corruption, Governance, Interview, Leadership, Malaysiakini, Malaysian Civil Service, Professionalism, Public Accountability, Tun Dr. Mahathir Mohamad. COMMENT | While the White House is in a state of fear regarding the anonymous op-ed piece in the New York Times about the dysfunction in the Trump administration and the so-called “resistance” attempting to stymie the US President’s more egregious agendas, the opposite thing is happening in this country. 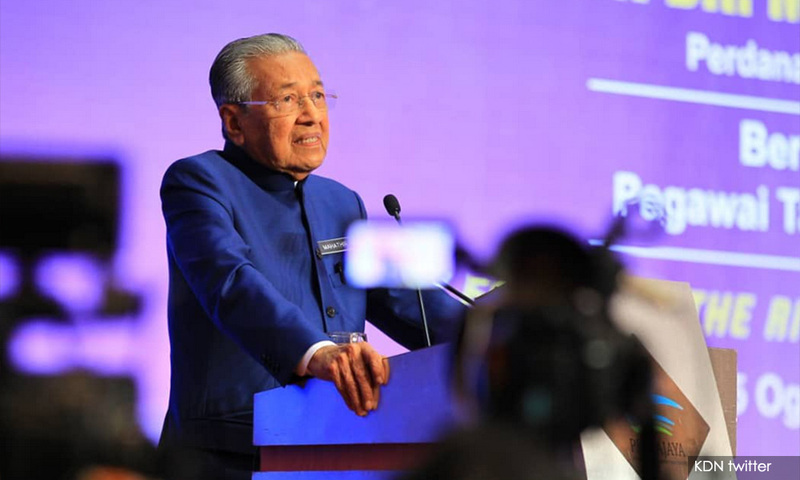 While I am not someone who makes excuses for the Harapan administration when it comes to their reform agenda, Prime Minister Dr Mahathir Mohamad is correct when he says that there are officials in Putrajaya who are purposely stalling the administrative policies of the new regime. There are a couple of points worth considering. The first is the lack of experience of some of the ministers appointed. Much has been said about the “Call me bro” youth and sports minister, the education minister who wants more responsibility – or is that prestige? – but has no real reform agenda when it comes to one of the more important portfolios of this country, the defence minister who likes to cook, and of course, the finance minister who can’t seem to get enough of exposing the scandals of the past administration and nodding to whatever the Prime Minister says. Fulfilling campaign promises is one thing but more damaging is a lack of vision of many of these ministers. Besides Gobind Singh Deo who seems to actually have a vision of what his Communications and Multimedia Ministry can accomplish and Transport Minister Anthony Loke, who you may disagree with some of the things he has done – at least, they are doing things when it comes to their ministries and not attempting to define their ministries by their polemics against the former regime. While this is an important point, it should not detract from what I consider the bigger point – and what the prime minister rightly points out – the sub rosa moves by bureaucrats to hamper the progress of Harapan regime. I have been doing my own snooping around, calling contacts serving and retired, and there is a definitely a conspiracy of sorts to destabilise the Harapan government from within. 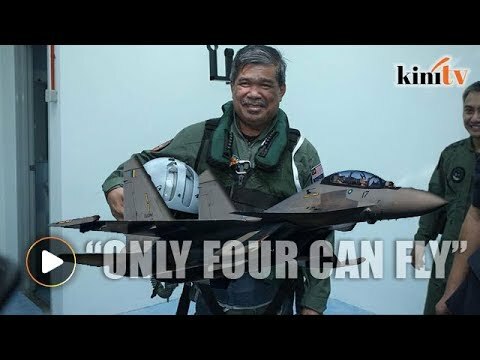 One example I put much stock in is when serving and retired state security personnel tell me that there is a movement within the Defence Ministry to “contain” the popular Mohamad Sabu (photo). 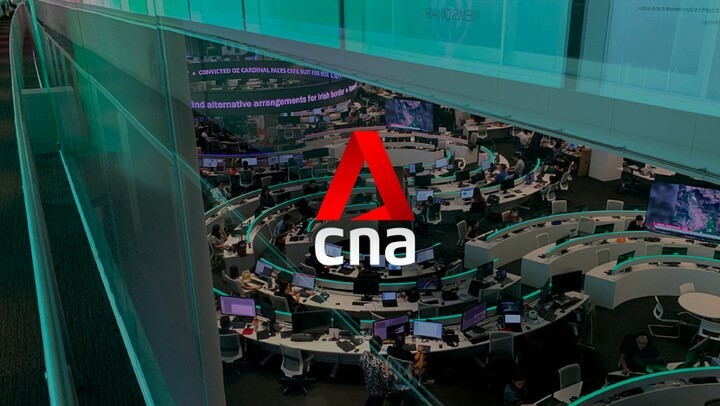 This means different things to people but the general idea is that reform within the security services comes with the price of exposing the corruption, collusion and God knows what else, which ironically could prove to be a threat to national security. Can you imagine what would happen if forces domestic and foreign, ever discover how compromised our state security apparatus is? So we get all these “investigations” which go nowhere and an inexperienced minister who is grappling not only with his administrative duties but also his political ones, believing that things are running smoothly. In reality, the petty fiefdoms in the state security apparatus are making moves to conceal buried secrets that could not only bring them ruination but everyone in the food chain. Furthermore, some minions actually resent that there is a new government. This resentment, depending on the cabal, is based on racism or religious bigotry. Years of the Biro Tatanegara (BTN) horse manure has created a culture that views any “interloping” by non-Malay political operatives other than from BN as trespassing on the provinces of the ‘ketuanan’ types. No doubt, the propaganda of a New Malaysia rattles their precious sensibilities and these people are ever ready to demonstrate that the bureaucracy can strike back. One recently retired government official told me that these people not only resort to stalling but also hiding relevant documents, misdirecting new and inexperienced aides and attempting to portray everything done by the new Harapan regime as a “witch hunt”. This, of course, does not take into account what I call the deep Islamic state and their operatives, who are considering working with the committed Islamists within Pakatan Harapan and carrying out their obligations for their handlers within UMNO. Whispering into the ears of easily-rattled Harapan political operatives of the precarious nature of the Harapan alliance when it comes to the Malay vote, they advance an Islamic agenda which is at odds with the supposed “secular” agenda of the new Harapan regime. However, if you think that this is all UMNO’s fault, you are naive. The infighting within Harapan contributes immensely to the hampering of the reform agenda. My comrade, Malaysiakini columnist Hishamuddin Rais (photo) may have ruffled some feathers when it comes to his writings, but he is more often correct than wrong when it comes to the machinations of the political elites. 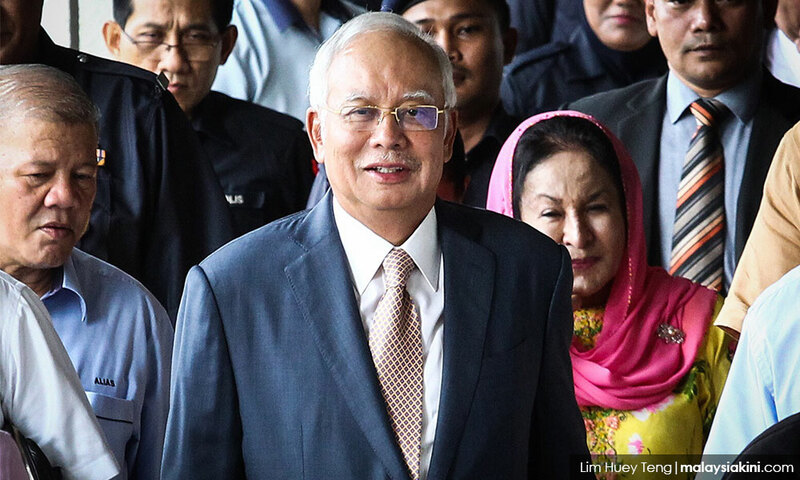 There are elements within the bureaucracy who have decided to take sides and the infighting within Harapan plays out in how policy is carried out in Putrajaya. 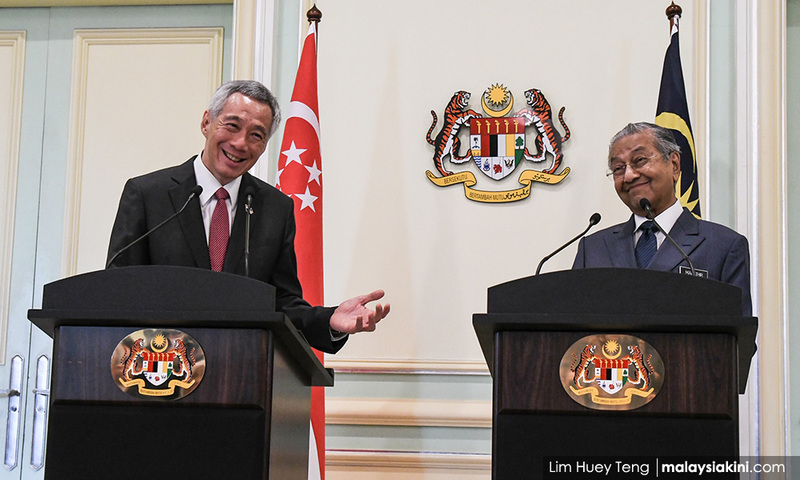 Various fiefdoms have erupted like boils within various ministries where busy factotums carry out the agendas of the Harapan political elite and this sometimes includes frustrating rival factions. As one frustrated political operative lamented that she has to watch her back when it comes to the bureaucracy because not only has she to worry about the flotsam and jetsam of the former UMNO regime, which includes agents of MCA and MIC, but she has to be wary of not stepping on the toes of her political higher-ups who are wrestling for dominance in various ministries. 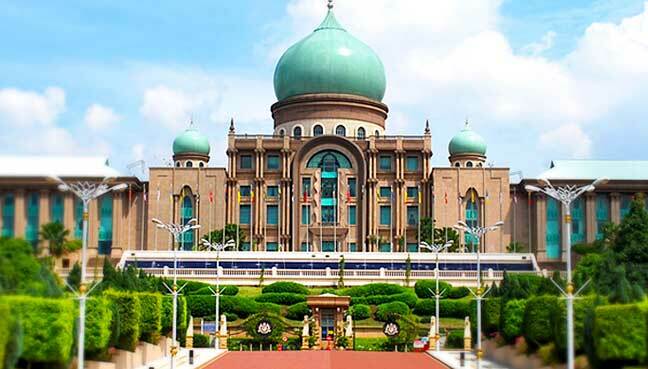 A still serving low-level bureaucrat in Putrajaya candidly told me that he is impressed that Harapan has been able to accomplish some of the reforms they promised because with all the crap thrown their way by their infighting and elements from the previous regime, it is remarkable that they are able to function. Another source said, if only Mahathir was younger and had the support of a committed base, he would whip the government into shape. He has preoccupations which are political in nature which are hampering what he needs to do with the government, this near-retiring source claims. This, of course, is all part of the political culture in Malaysia which is UMNO-based and something that people in Harapan, who are actually interested in reform, have to contend with. Coupled with their inexperience, they find it difficult to navigate the bureaucracy which is at war for itself and with itself. Posted in Elections, GE-14 Malaysian General Election, Governance, Leadership, Malaysia, Malaysiakini, Malaysian Civil Service, New Economic Policy, Pakatan Harapan, Politics, Security. I refer to the letter, “Is there hope for the civil service?” by Dr Amar-Singh HSS. As a former government servant, I too can relate to what he was saying although I have tried to avoid writing about it directly. The environment in the civil service is more than stifling. It is also where favouritism, parochialism and bigotry are allowed to thrive. Discrimination in terms of recruitment, promotion and posting is routine and done with impunity. Tokenism has evolved into a fine art. If you are assertive and smart, be prepared to be sidelined and marginalised. The civil service values mediocrity – this is absurd but true. The top echelon of the civil service is not populated by the smartest, but they know how to play politics to the hilt. To survive and keep the goodies to themselves, all they need to do is to quickly align themselves with the new regime. Soon, you will find top civil servants praising Dr Mahathir Mohamad sky high, just like they did with other Prime Ministers. As a body, the civil service has its own inertia. It is not known for efficiency and progressiveness. On the contrary, the service is often associated with wastage, lack of initiative and poor service orientation. The civil service is essentially an input-driven organisation, i.e. it will not move an inch without additional manpower and resources. Redeployment, revamp and reorganisation are hardly part of its consideration. That is why the civil service is ever expanding, often not in tandem with the size of the economy. Reports like the above which was written by two top civil servants of the Mahathir 1.0 Era, Tun Ahmad Sarji and Tan Sri Mahmud bin Taib are useless when there is no political will to undertake serious reforms. Left on its own, I don’t think the civil service will ever change. It will remain insular, discriminatory and even racist. Change must come from the political leadership. There must be an insistence on greater diversity at the intake level. There must be an insistence on promotion and posting based on fairness, meritocracy and competency. We must temper the rights and privileges of communities with the need for competition, efficiency and performance. Otherwise, we shouldn’t be talking so much about greater dynamism and competitiveness for this country. Posted in FreeMalaysiaToday, Governance, Leadership, Malaysian Civil Service, Pakatan Harapan, Politics, Productivity, Public Accountability, Public Service, Rule of Law, Tun Dr. Mahathir Mohamad, UMNO, Vision 2020.